It's the 'DC in the '80s' Issue! From the experimental to the fan faves, this was the decade when DC Comics declared, 'There's No Stopping Us Now!' 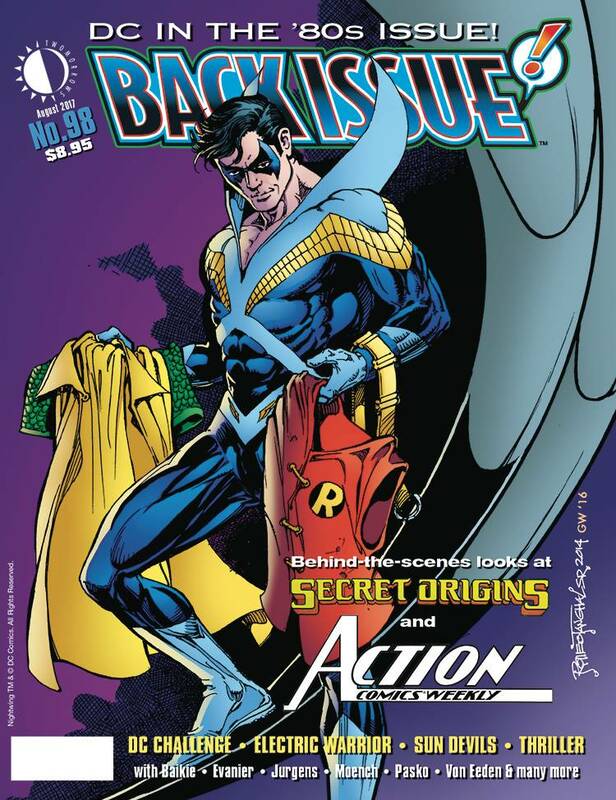 Behind-the-scenes looks at Secret Origins, Action Comics Weekly, DC Challenge, Thriller, Electric Warrior, and Sun Devils. Featuring Jim Baikie, Mark Evanier, Dan Jurgens, Doug Moench, Martin Pasko, Trevor Von Eeden, and others! 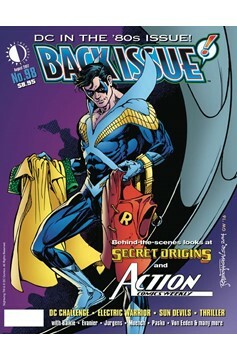 Featuring a mind-numbing Nightwing cover by Romeo Tanghal..